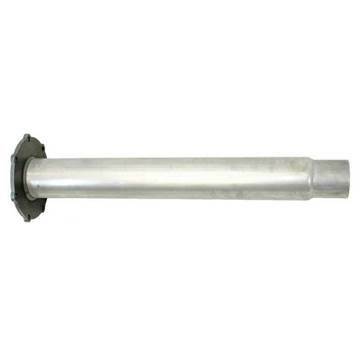 This 3.5" aluminized delete pipe from FloPro goes in place of your DPF (Diesel Particulate Filter) system on a factory/stock 3.5" exhaust while keeping your catalytic converter intact on a 2008-2010 Ford 6.4L Powerstroke. FloPro's 4" aluminized steel downpipe-back DUAL exhaust for your 2008-2010 Ford 6.4L Powerstroke - No Muffler / No Tips / No Bungs. Note: Dual tail pipes may not fit or require modifications with suspension mods and/or airbags. 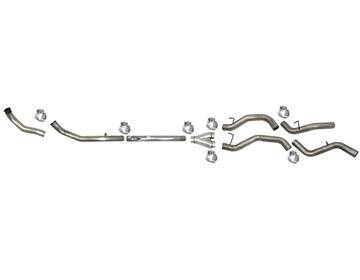 2008-2010 Ford 6.4L Powerstroke Cab & Chassis - FloPro's 4" Aluminized Steel Down Pipe Back Exhaust System. This kit comes with a stainless steel muffler but does not include a tip. 2008-2010 Ford 6.4L Powerstroke F250/F350 - FloPro's 4" Aluminized Steel Down Pipe Back Exhaust System. This kit has no muffler or tip. FloPro's 4" Aluminized Steel CAT & DPF Delete Pipe kit for your 2008-2010 Ford 6.4L Powerstroke F250/F350/F450/F550 Pickups and Cab & Chassis vehicles. Pipes have no bungs. Race tuning required! FloPro's 4" T409 Stainless Steel CAT & DPF Delete Pipe kit for your 2008-2010 Ford 6.4L Powerstroke F250/F350/F450/F550 Pickups and Cab & Chassis vehicles. Pipes have no bungs. Race tuning required! 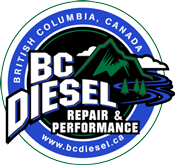 This 4" aluminized delete pipe from FloPro goes in place of your DPF (Diesel Particulate Filter) system on your existing 4" exhaust on a 2008-2010 Ford 6.4L Powerstroke.